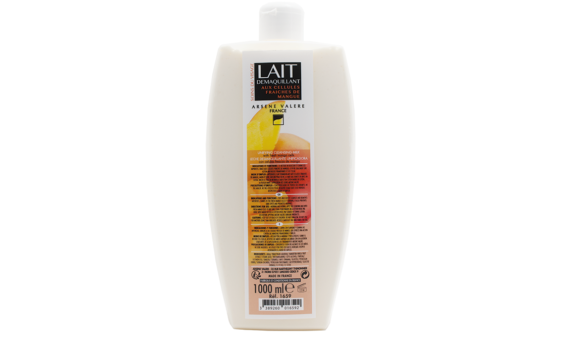 This milk gently cleanses and removes impurities. Thanks to the fresh mango cells it contains, it also prevents dark spots and promotes radiance. morning and evening, apply the cleansing milk with fresh mango cells to dry skin, using your fingers or a cotton wool pad. rinse with water or use a cotton wool pad soaked in toning lotion. use before applying arsene valere skincare products. cautions : keep out of reach of children. do not swallow. do not use for another using than indicated. respect carefully the directions for use.